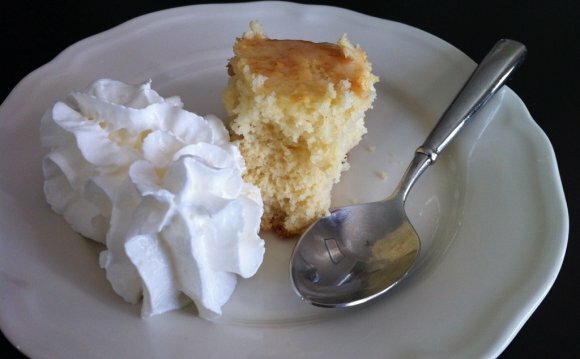 For an extra boost of flavor and sweetness, the cake layers have been generously brushed with an orange simple syrup. Rounding out the Creamsicle theme, this cake has been frosted in a silky, vanilla-flecked buttercream. Finished with swirly rosettes, sparkly sanding sugar, and pearls for extra whimsy! Preheat oven to 350 degrees. Prepare three 6-inch cake pans with butter, flour and parchment paper. Set aside. In a separate bowl, stir together the sour cream, milk, and vanilla. Set aside. In the bowl of an electric mixer fitted with a paddle attachment, beat the butter until smooth. Add in the sugar and zest. Mix on medium for about 3 to 5 minutes until fluffy and pale in color. Turn the mixer to medium-low and add in the egg yolks, one at a time. Stop mixer and scrape down the sides and bottom of the bowl.